As a commercial real estate broker with Berkshire Hathaway HomeServices Joyner Commercial, Hope specializes in retail, office and land sales and leasing. Her success has been recognized with numerous awards including #1 Buyers Agent (2009), Agent of the Year (2013) and in 2017 she finished as a top agent in the Commercial Division. A native of Greenville whose family has deep roots in the community, Hope’s knowledge and love of Greenville made her job as a residential Realtor a natural choice. After some time, her career in real estate was put on hold when she was needed to help run the family business, TZ’s Fine Wine and Spirits. “My parents needed my help. I told them I would give it six months and see how it went,” Hope recalls. It went well, very well. Hope spent 18 years overseeing operations of the family business her parents started in 1957. From there she began calling on restaurants as a rep with Aleph Wines. Hope’s retail management and restaurant experience drew her back to real estate, but to the commercial side of things, and she returned to her roots with C. Dan Joyner Commercial. 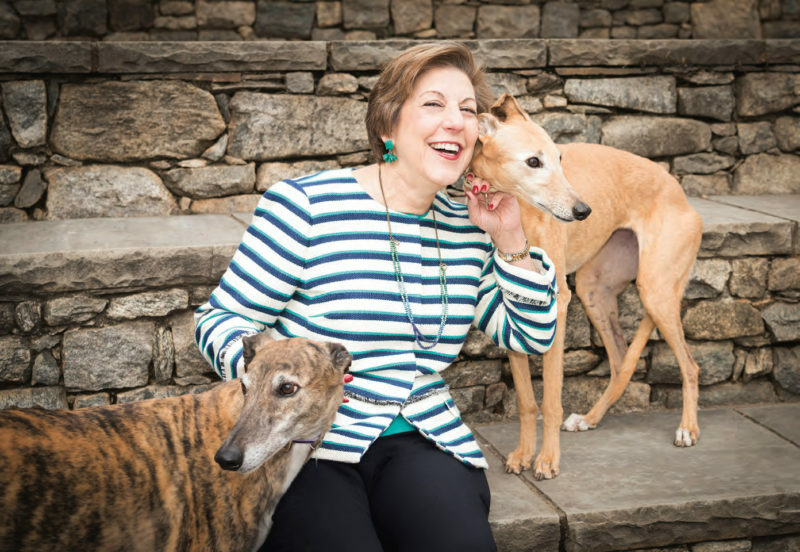 “Having operated a family business in Greenville, I feel a special connection to others seeking to start or grow a business here,” she says. As a commercial real estate professional, Hope is a founding member of CREW Upstate and active in other civic organizations. Hope is keenly aware of the positive impact that commercial real estate has on a community. She is currently working with property owners in Moonville, Piedmont and Slater-Marietta to facilitate development. When not working, Hope loves spending time with her husband, Paul, and their two rescue greyhounds. Hope also has two brothers, their wives, and three adorable nieces she loves to spoil. Her mom, however, continues to be her source of encouragement and support. Previous PostPrevious FOR SALE – 20 Old Augusta Road Ext.